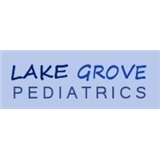 Lake Grove Pediatrics (Lake Grove) - Book Appointment Online! Dr. Goldberg’s philosophy is quality pediatrics with a personal touch. In today’s society of immediate information and instant answers she understands the urgency of being available for her patients. She provides every patient with her cellphone number and e-mail address so she can be reached twenty four seven. She makes it her business to personally know all of her patients and their families. Dr. Goldberg has adjusted her office hours to make seeing her more convenient for her patients. As a mother of three children she understands the importance of not being just a number in a factory. She takes the time needed to give care with kindness.